/Design Tools - Other /Can I create shapes in my design? 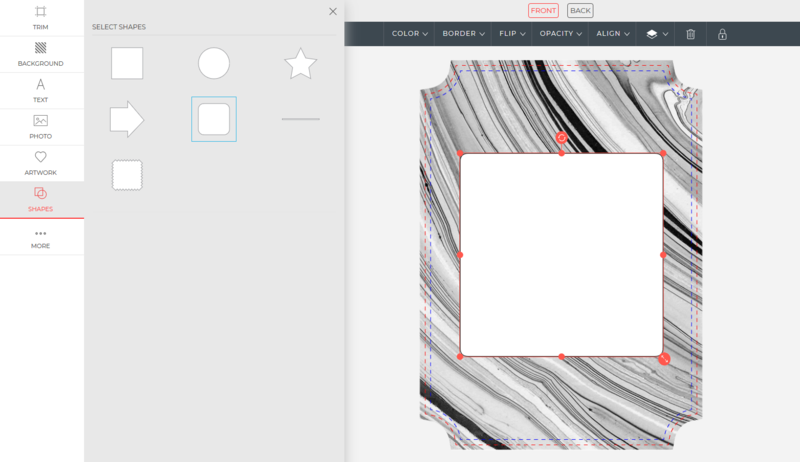 To create a shape in the Design Center, click on the Shapes tab on the left side toolbar of the Design Center. This will open the Shapes toolbar and you can choose from a variety of shapes to add to your design including circle, square, square with rounded corners, square with zigzag edges, star, arrow, and rectangle shapes. Click the shape of your choice to add it into your design. From here, you can modify and resize the shape as needed. How do I zoom in and out on my design?